Falling oil prices have created a conundrum for Chesapeake (NYSE:CHK). The stock of the troubled upstream energy company has plummeted. 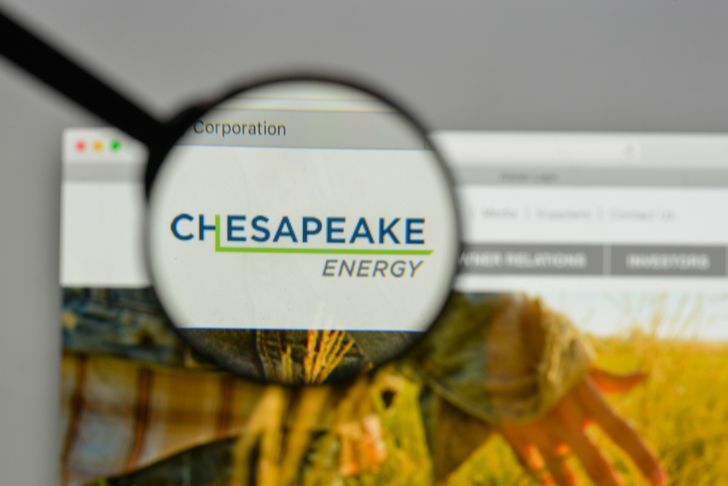 Now, just ahead of CHK’s upcoming merger with WildHorse Resource (NYSE:WRD), CHK stock has become riskier Still, despite the risks of falling oil prices and the added costs of the merger, natural gas can still enable CHK stock to make a comeback. Chesapeake never recovered from the last oil collapse. After oil prices plunged a few years ago, the company found itself struggling to survive as its shares reached penny-stock status, with the market cap of CHK stock falling well below the company’s debt load. Despite its large debt and troubled balance sheet, Chesapeake announced that it would buy WildHorse, an oil and natural gas exploration company. By acquiring WildHorse, CHK will increase its exposure to the lucrative Eagle Ford shale, and WildHorse’s recent earnings reports indicate that the deal will raise CHK’s profits. However, the acquisition requires CHK to take on an additional $930 million of debt. adding to its already crushing leverage. Also, the owners of CHK stock will be significantly diluted by the transaction. Additionally, the price of West Texas Intermediate crude has fallen from a high of almost $77 per barrel to just above $51 per barrel in less than two months, causing Chesapeake Energy stock to drop sharply. Chesapeake trades near the $3 per share level, its lowest level since the spring. Although the decline of oil prices has become troubling, I still think a case can be made for buying CHK stock based on speculation. While the market appears focused on oil prices, we have also seen a substantial increase in natural gas prices. Natural gas traded below $3 per 1000 BTUs as recently as late September. Today, it trades near the $4.50 per 1000 BTUs range. Early cold spells in the United States, as well as forecasts for a colder-than-average winter, have caused the jump in the price of natural gas. Meanwhile, increases in natural gas prices overseas will empower the most likely positive catalyst of Chesapeake stock, liquefied natural gas (LNG) exports. Despite its troubles, Chesapeake produces more natural gas than any company except Exxon Mobil (NYSE:XOM). By exporting natural gas to Europe, CHK can benefit from the $8.80 per 1000 BTUs price of natural gas on that continent. And since in Japan, for instance, liquefied natural gas trades for about $11.30 per 1000 BTUs, Asian markets could be even more profitable. The natural gas export sector has only begun to take shape in the U.S. Currently, Cheniere Energy (NYSEAMERICAN:LNG) and Dominion Energy (NYSE:D) each operate one of the two functioning export terminals in the country With a third terminal in Corpus Christi, Texas slated to begin exporting natural gas soon, and other terminals in development, exports should grow rapidly for years to come. If CHK can survive, I believe this growth will raise CHK stock to new highs over the next few years. Perhaps Chesapeake Energy stock will even exceed the record $31.49 price that it reached in the summer of 2014. The case for buying CHK stock based on speculation remains strong, but falling oil prices and its purchase of WildHorse add to the risk posed by the shares. Lower oil prices and concerns about the merger have caused CHK to drop below $3 per share. Both factors remain threats to Chesapeake’s long-term viability. However, investors should not forget the positive news on the natural gas front. A colder-than-average winter will bolster Chesapeake Energy stock in the near-term. Moreover, if it can sell increasing amounts of natural gas in Europe and Asia, its profits will rise, fueling massive stock price increases. CHK stock is not for the faint of heart. However, for those who have excess cash and emotional fortitude, I think this equity is well worth a roll of the dice. Article printed from InvestorPlace Media, https://investorplace.com/2018/11/despite-risks-chk-export-recovery/.